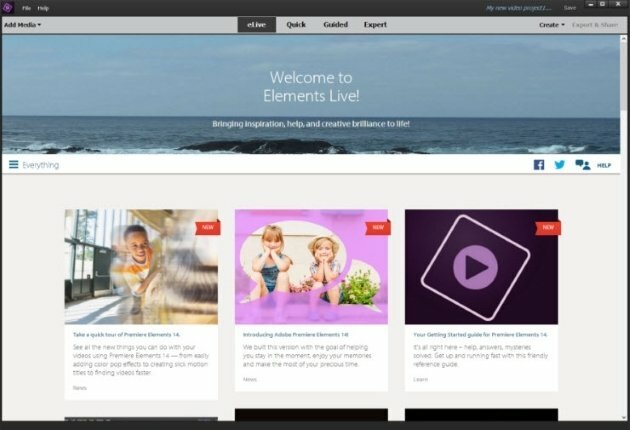 Adobe Premiere Elements is the simplified version of Adobe Premier for domestic users. 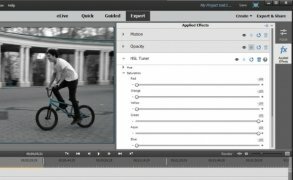 It offers all the basic functions that you may need to create your own movies at a much affordable price, without sacrificing performance and Adobe's professionalism. The video editor that anyone can use. Nowadays, almost everyone has a mobile device to capture video. That's why it's a good idea to have a decent video editor to setup your movies and bring all those captures to life. Slow motion and fast motion effects. Graphics and titles in motion. Display your movies and photos on a map showing where they were shot. 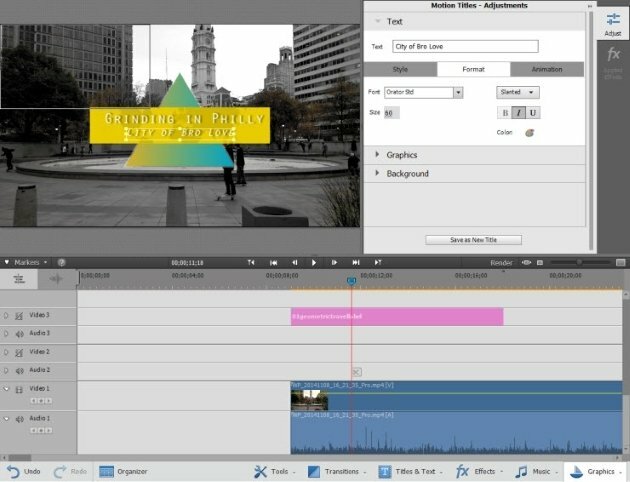 Automatic editing with the Instant Movie function. 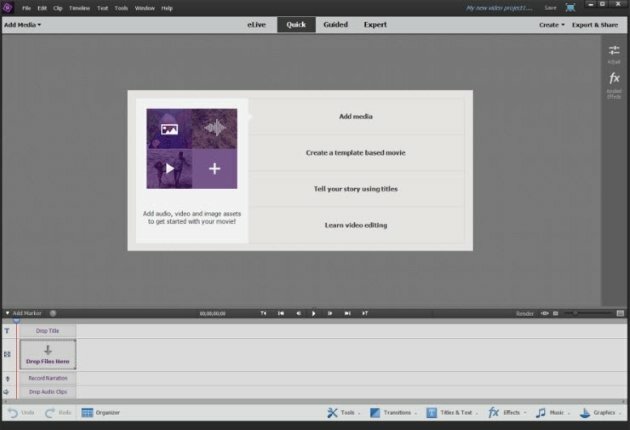 Different visual effects and filters to decorate your movie. Share your movies straight to social networks. As you can see, this video editor offers you everything you need to remember your travels, immortalize events or even become the next Steven Spielberg, creating your own mega production.